Do you like Gold Panic? Share it with your friends. 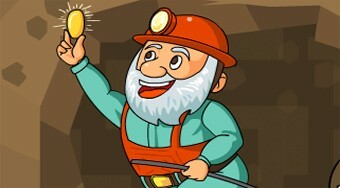 Gold Panic is a great logical flash game where your task will be to help the miner get bangs of gold in the wheelchair. In each round, move around the playing area, dig through the sand, avoid giant spiders, and push all gold bulls into the wheelchair.